Why Do Some YouTube Videos Go Viral? A bit off this track, but I was pointed to Word Origins recently, which is worth a look. As a blogger, reader of feeds in many areas it is surprising how often this comes up. As a science/engineering major I still have a soft spot for words. Nestle's Open Innovation site. Also the Open Innovation blog. Ad Age reports on Wal-Mart's pulling out of Prism. They " ... decided not to participate in the national syndicated service "consistent with their internal data-sharing policies." ... . Other major retailers and manufacturers in the test are continuing to participate. Good article which includes concerns about how this data could change the retail industry. Previously about Prism. Cameraworks: A nice site with advice about digital photography with some useful deep dives. An interesting example of the overlaying of real time data from the National Oceanographic and Atmospheric Administration (NOAA) onto a globe, which was then inserted into the virtual world Second Life. The video above, from NOAA, demonstrates and describes the effort. A first, still primitive step into creating virtual worlds that contain multiple, navigable data layers. Improving the dimensional representation of both real and abstract data and its improved navigation has been a topic here. From New World Notes, where there is more information and a link directly into SL if you are a member. Google will end their research database program at the end of January 09. The object was to provide large databases for scientific study, as described in this Wired article. The article also relates this project to the Gapminder system, which I assume will still exist. The project will have only been around for a year. This example drives home the reality of what Google calls a beta and the caution that one should use before investing too much in their infrastructure. Another example of health monitoring using cellphone based systems, from UCLA.
" ... Major breakthroughs in science have historically been the province of individuals, not institutes. Galileo and Copernicus, Edison and Einstein, toiling away in lonely labs or pondering the cosmos in private studies. 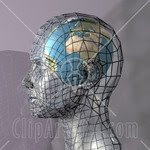 But in recent decades — especially since the Soviet success in launching the Sputnik satellite in 1957 — the trend has been to create massive institutions that foster more collaboration and garner big chunks of funding ... "
" ... high-profile studies frequently reporting extremely high (e.g., >.8) correlations between behavioral and self-report measures of personality or emotion and measures of brain activation obtained using fMRI. We show that these correlations often exceed what is statistically possible assuming the (evidently rather limited) reliability of both fMRI and personality/emotion measures. The implausibly high correlations are all the more puzzling because social-neuroscience method sections rarely contain sufficient detail to ascertain how these correlations were obtained... "
Good overview piece on data visualization innovator Martin Wattenberg, with descriptions of his recent work. Previously on Wattenberg's work. Steve King's Small Business Labs publishes their top ten small business trends for 2009. Broad article in the Economist on the topic of how retail is increasingly using the store as a laboratory to gather behavioral data about shoppers. Also about their subconscious behavior gathered through neuroanalysis means, how they react to broader sensory stimuli. Simon Harrop of Brandsense is quoted re aroma stimuli in retail. What the article misses is the use of laboratory stores and innovation centers, such as those created by manufacturers P&G and Kimberly Clark to test ideas, both physically and virtually, before they are rolled into actual retail environments. This allows a level of experimental detail that is much more difficult to do in real environments. More about that in this blog. This combination of lab and actual real environments is particularly powerful. Retailers are making breakthroughs in understanding their customers’ minds. Here is what they know about you ... "
Good detailed local paper article on Procter & Gamble's Clay Street Project. A previous Futurist article on this. Kate Niederhoffer on the Future of Measurement a good overview and pointer to the full PDF. Interesting thoughts, worth a look. Personally I think that there will be improvements in models that do predictive analysis of all kinds of social data. I have added her blog Social Abacus to my feed. Passed along by a colleague. A short article and podcast that makes a very profound point. No matter how sophisticated and mathematical a model is, if it does not contain all of the important context of problem, it be very risky indeed to use predictively. Deciding exactly what to include and leave out of a model is the most important part of modeling. Worst of all, people often automatically validate models that agree with their preconceptions. Its not that I do not believe in quantitative models, I practiced building them for years. It is that there has to be a balance between common sense and quantitative infrastructure. One way to embrace this is to use the technique of scenarios. Banks now employ thousands of highly-qualified mathematicians to quantify risk for them. So why did they not foresee the credit crunch? Quantitative finance lecturer Paul Wilmott explains how a failure to see beyond the numbers might be to blame.... "
Colleague Sammy Haroon critiques the idea of a wisdom of crowds. Global Supply Chains are not ready for challenging times. Many large companies have models of their supply chains. You would assume that it is just a matter of plugging in new numbers to recompute their plans. In general though, there are many assumptions made as to what is possible and these need to be re-tooled as well. I like to see these as two key elements and not three. First there is the architecture of the data, and all of the meta data needed to understand it in context, and second are the models we use to find patterns to simplify data. Models can be of many forms but generally are of two types: mathematical, which typically include logical or statistical methods. Second are models of design where we cannot directly quantify a result, but use our own visual systems to simplify a system. In both kinds of models they must simplify our understanding of a system, otherwise they have no value. They may or may not be predictive depending upon the relationship between the data, its context and the models used. And always, the simpler the model the better, something that can be put on the back of the envelope is best of all.
" ... According to a recent survey from Jupiter Research, sharing personal information is the No. 1 reason consumers do not complete their online purchases... "
Continuing my review of alternative views of Business Intelligence, an article by Dave Wells: The Changing Face of Business Intelligence. " ... industry has strayed from its original vision and how it is now changing to recover what’s been lost .. ", Stephen Few supports Dave Well's views, but disagrees with some of his examples. Junk Charts shows a particularly bizarre misuse of data visualization design by Starbucks. Seems the visual designers would not use something as simple as a bar or line chart. Keep it simple remains the best advice. People naturally group information by topic and remember relationships between important things, like a person and the company where she works. 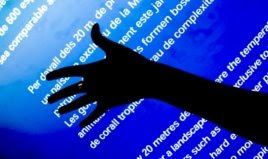 But enabling computers to grasp these same concepts has been the subject of long-standing research. Recently, this has focused on the Semantic Web, but a European endeavor called the Nepomuk Project will soon see the effort take new steps onto the PC in the form of a "semantic desktop." ... "
I was introduced to this archaeological puzzle as an undergraduate. Now its model has led to more mysteries. StorefrontBackTalk reports that there has been a sharp decrease in price comparison site visits, despite the economy. The post and comment show how complex the overall system is and how problematical gathering these numbers can be. Always interesting LibraryThing is running a contest using free online uClassify to classify text. I mentioned uClassify a short time ago and used it to classify my blog posts. CW reports that Forrester has released a report that managers believe they have too many BI tools in house. Although I have not read the full report yet, I agree with the basic claim. In my own experience, where I was heavily involved in analysis in a large enterprise, there were at least a half dozen tools that were commonly used. Plus just about every other tool was being used somewhere for something. It is true that this creates considerable chaos. Much of hidden deep in budgets and collaboration complexity. Duplication of training, interfaces, licenses and the understanding of the basic assumptions used by various tools is a costly mess for the enterprise. So why is this the case? In part because there are no complete definitions for the meaning of BI. As a result many enterprise packages like SAP and Oracle come with their own BI capabilities. What were once purely statistical packages like SPSS and SAS that now have BI constructs. Even ubiquitous packages like Excel have become so feature rich that they too can be transformed into something that looks much like BI. It is easy to convince management that any of the packages above have just that feature that will provide the key transformational analysis that will solve an important problem. IT may disagree, especially if the license fee is high, and may argue that the complexity added to the enterprise has its own cost, but in general they will lose the argument because they just do not understand the analytical side of the argument. Finally BI tools proliferate because their best advocates are new-hires coming out of school have been trained in the use of new tools. It is something fresh, new and unique, like them. Which is why vendors provide free licenses to Universities. So the training of new people in the internal tool is a barrier. The overall costs are not thought through. Management usually does not understand the features and mathematics of tools already in use. Once a shiny new tool is brought in and is presented to the right management it is then very hard to dislodge. I have seen this complexifying effect operate for many years, in fact for my entire career in the enterprise. At least now we rarely write our own tools, but the sheer number of options is numbing today. So what to do about it? Have a core team that really understands the infrastructure, IT and mathematical capabilities of the tools in use. They also need to know how the problems have been solved in the past. The team needs to work with all the divisions: Engineering, R&D, HR and marketing etc .... It also needs to have some clout and reasonable veto power. They also need to make the overall solution more accessible and easier in most cases. Benchmark with similar firms. Sure there may be a need for specialized vertical capabilities. But with only some work these can be kept at a minimum. Choosing a limited set of options also allows the construction of libraries of solutions that can be reapplied. Have analytical experts available that can evaluate the problem solutions. Connect all your BI users together with Web tools so they can collaborate, that is easy today. Update: in the comments below, Colleague Stan Dyck provides some excellent additional insight into this topic. An interesting 'robotic' bike parking system in Tokyo. I agree with one of the commenters on traveling in Tokyo, I rarely had a perspective of where I was in the city, traveling mainly in the underground or in a taxi. Why so complex a system? Land is highly utilized and very costly and there are enough bicyclers to create a market. 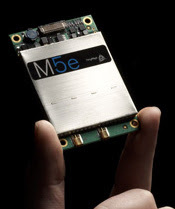 I enjoy discussions linking the history of a technology to its current state. This article looks at the stereographic technology of 1859 and how it relates to the cellphone technology of today. Also how you can experiment with the old technology based on the instructions in ths very worthwhile post. I will do that.
" ... past generations were far cleverer than we usually imagine. ... the first three-dimensional (stereo) images were created by Charles Wheatstone in 1845, just a few years after the emergence of photography itself, and that 3-D photo viewers—called stereoscopes—were common appliances in middle-class living rooms for more than 70 years, from the time of the American Civil War to the Great Depression ... "
Nano generator that can be grown over fibers. Generates energy by human movements. Ottilia Saxl, chief executive of the Institute of Nanotechnology, believes the technology could also find a use in healthcare. There have been a number of keyboard instruments for the IP, so when I first read of a wind instrument app I thought ... how would that work? There is an Ocarina app. You blow into the mic, which is real genius. It converts the rush of air into a note. My wind instrument experienced sons think it is less than ideal, but agreed the idea was clever. There are a number of competitors now that are using the same approach. There has been one warning that blowing moist air into the IPhone could rot the electronics. Don't know if that is true. Mine is OK for now. I bought it ($0.99) and have played it for a month or so. Fun ... though it annoys the aforementioned sons. Also looks odd in public so I avoid that. It also has a 'social' aspect ... in one mode your can listen to Ocarina players live, from all over the world, superimposed on a zoom able globe. Most are not very good, but the whole thing has a very 'age of Aquarius' kind of mood to it that is intriguing as well. The breath thing is interesting .... if you had other kinds of embedded biometrics sensors you could do breath analysis, etc. I see now that an attachment has been made to do that. Via Google Blogoscoped I see that Google Image search now has some new advanced options which lets you search for just clip art or line drawings. Also previously included a 'faces' category. Works well. Useful for looking for exactly that kind of image you want. Of course it still does not mean your image is not copyrighted. Frank Piller interview on this topic. What intrigues me is how we can think of co-creation of products as a form of open innovation. I particularly like the idea of combining manufacturers, designers and customers as part of the over all co-creation idea. Each providing their own skills and needs. Paul Gillin has a good piece: It's Time for Corporate Blogs 2.0. Where he discusses the failings of corporate blogs and how they need to be mended. How to Build a small business web site, in Technewsworld. The Financial Times critically reviews Lindstrom's book Buyology. And more in Business Economics. Also see this previous post, which describes something similar, not sure it is the same thing. Above picture, a very advanced system from IBM, called BlueEyes, tracks shoppers in a supermarket aisle, painting them in color. I hear from a colleague that Wal-Mart has decided not to participate in Nielsen's in-store metric program (PRISM). Have not found the specific press release as yet, will post here when I do. (Update: See here) Wal-Mart was an early participant in this effort. Many large retailers and manufacturers are still engaged. Could be another example of Wal-Mart not willing to share store data. Another competitive effort is that being developed by POPAI, which to my knowledge Wal-Mart is also not participating in. Are they going it alone on these kinds of key analyses? Previously about PRISM. P&G's Lafley talks about PRISM transforming. "Meijer, a retailer with stores in Michigan, Ohio, Illinois, Indiana and Kentucky, has enlisted QuantiSense for business intelligence (BI), data warehousing and consulting work. The retailer has long been using a MicroStrategy BI platform, which runs on a Teradata database, and the new QuantiSense tools are built on the existing MicroStrategy architecture. QuantiSense adds embedded retail intelligence, role-based dashboard and “Playbooks” of standardized business processes to Meijer's existing data tools ... "
The emergence of 3D cinema and its challenges. Have not followed this for some time and was surprised by its evolution. " ... Experts at Wharton say 3D movies are back in vogue, but it's unclear whether the latest greatest technology can give theaters a sustainable competitive advantage over other forms of entertainment. ... "
I was recently introduced to the company KYield, which uses semantic nets to model the operation of organizations. Here is a white paper which addresses how their approach can be used. Worth reading ... will follow with more learnings. See also their blog.
" ... Kyield is a semantic network consisting of a suite of interoperable modules that supports organizations in their quest to improve innovation and productivity within the digital workplace. To realize these important goals, it is first necessary to overcome the significant challenges of information overload and poorly designed architectures that contain disincentives for knowledge workers to innovate ... "
How do we address getting different web search statistics? Can we get one number?
" ... For a limited-time only, Burger King is offering up Flame, a body spray with "the scent of seduction," and a "hint of flame-broiled meat." It's a favorite of the King, they say. The website to promote the scent is essentially a sequence of Barry White cover albums: sunset at the beach, a bath with candles, roses ... It's not a joke, in the sense that you can actually buy it, online or at Ricky's NYC stores for $3.99 ... ". Short PR article on the explosion of activity in scent-sensory marketing. Quotes Russell Brumfield in his recent book: Whiff! The Revolution of Scent Communication in the Information Age. Book previously mentioned. Microsoft Live Labs has just announced and made available their Seadragon mobile application. Oddly it works as a mobile application only on the IPhone for now. Appears to be a very natural connection to their Photosynth idea, which I reviewed previously " ... Seadragon Mobile brings the same smooth image browsing you get on the PC to the mobile platform. Get super-close in on a map or photo, with just a few pinches or taps of your finger. Browse an entire collection of photos from a single screen. You can browse Deep Zoom Images that you can create from your own pictures or..." Trouble is that the Photosynth link does not work at this time, but it is being worked on. See the Seadragon blog and site. They take care to mention this is just a showcase outline demo of an ultimate system, not even a Alpha, whatever that means now. I installed it and played with their sample data, a DB of global satellite images, map data from the Library of Congress and other sample images. Transitions were smooth, but some of the zooming was slow, likely due to my WiFi connection reloading. I much like the idea of using an infinite field of images that I can manipulate to study, especially from a mobile device. Could be useful for certain kinds of collaborative design capabilities. For example, comparing real objects and locations and large numbers of stored images. Would be further useful to include tag generation and image analysis capabilities to aid its exploration. Also a way to add a markup layer where I can collaborate with others on the field of image(s). You can compare this to Google Earth, which also has a mobile viewer that gives fairly smooth drag and follow interaction on the IPhone. Compare it to Tag Galaxy for tagged images. There is no way as yet to be able to search any of the image meta-data, like tags or title or dates. Quite fundamental. I would imagine that this would be easy to add at some point. So all I can do is browse in two dimensional spaces like maps. Some of the exploration methods, other than zoom in and out, are still primitive. The Photosynth connection, when working will also be interesting to examine for better exploration of recorded spaces. Suppose we could generate images from our brain and then scan them this way? A backup of our own visual memory? This is definitely worth a look and following to see how it evolves. There is also a Seadragon Ajax capability that you can place in your own web spaces to provide a viewer and related capabilities. I have not explored these yet. Scanning just some of the comments, there is the usual cynical criticism and mostly childish poking at Microsoft. Ignore it.
" ... In a world first, a research group in Kyoto Prefecture has succeeded in processing and displaying optically received images directly from the human brain. The group of researchers at Advanced Telecommunications Research Institute International, including Yukiyasu Kamitani and Yoichi Miyawaki, from its NeuroInformatics Department, said about 100 million images can be read, adding that dreams as well as mental images are likely to be visualized in the future in the same manner... "
" ... Tool Link's core technology is an RFID reader built into the truck bed that reads microchips on the tools to sense which ones the bed contains. Each microchip, or RFID tag, is fitted with an antenna so that data can be sent between the reader and the tag. In this case, the reader might request the number of the tool from each tag contained in the truck bed. The RFID reader provides all the power in the transaction, meaning that the tags on the tools don't need any sort of battery supply ... "
A long list of blogs that deal with neuromarketing, brain, psych and intelligence topics. Dean Kamen overview. The inventor of the Segway and more now has an idea worth tens of millions of lives. But no one cares. Tracking Lord Dumpling's genius on his seceded island of geekery ..."
Fascinating piece in Fortune about the economic realities of Apple's IPhone application store. Very good statistics. As we know, 'free' is a very different marketing reality than just a small cost. You can see this by reading the review comments for each of the free items for the lowest price applications at $0.99. Of course even free apps can have a marketing value, a trade up value, even a personal status and branding value. This week we are purposefully transmitting a remake of the movie When the Earth Stood Still into space. Some folks are worried about how it represents our planet to whoever may tune it in. This is not new, we have now been broadcasting a bubble of our wireless transmissions into space for over a century. The transmissions now comprise an over 100 light year radius bubble. Since it would take as much time to get a message back to us and if someone immediately answered our message, the round-trip bubble is 50 light-years There are about 150 sun-like stars in this volume of space that might have solar systems. So there are the rough dimensions for local, remote contact. For more stats. Every broadcast the earth has made, from Morse to digital HGTV, available to anyone with a receiver and a bit of technical know how to interpret it. SETI has heard no response yet as we patiently wait. Is there a "buy button" inside the human brain? That’s the billion-dollar question—and to answer it, a new generation of marketers is coming for your customers’ brains. Their work will impact marketing budgets, reward design, dialogue marketing, customer segmentation and more. Join COLLOQUY as we slide into the MRI machine for a closer look at the burgeoning field of neuromarketing and explore the implications for loyalty marketers.... "
Very good overview paper by GMA and Deloitte on Shopper Marketing, which they define as: Marketing stimuli based on shopper behavior designed to build brand equity, engage the shopper and lead shoppers to make a purchase. A very good study with participation of a number of practitioners. I attended Deloitte's overview of this work yesterday, which was also enlightening, waiting for their slides. I doubt if there are many citizens who could give you an example of let alone a reasonable definition of irony. Those that have an answer say it is a synonym for sarcasm. A psych study with children that indicates we combine language with behavioral clues in our neurons to construct a reaction that indicates irony. Tom Peters interviews Buyology: Truth and Lies About Why We Buy author Martin Lindstrom. Detailed and interesting post, asking some tough questions. Via Walter Riker. Update: Also Lindstrom pens an opinion piece in the NYT on anti-smoking strategy. 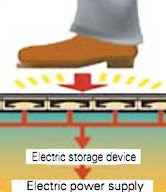 The Tokyo Subway system is using Piezoelectric flooring to generate electricity to power signs. 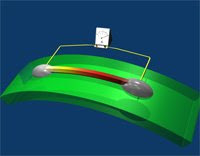 The piezoelectric effect generates electricity from mechanical actions. Supplies, the article says, 1400 kw per day. Having seen the crowds there it is an obvious solution. Though it covers only a very small part of the total subway power consumption. Article and more pictures. Alison Bolen of SAS writes in SasCom voices about retail technology expertise on Twitter. I have to admit that I have been skeptical for some time about Twitter, some people's ravings about it seemed just too silly. At a conference last year I saw whole table full of people bent over and twittering among themselves and others. Just in the last months have had some good experiences with twitter as a means for linking with expertise. Exploring further. My handle in Twitter is Franzd.
" ... ever had a feeling come over you that you just can't explain? Like suddenly getting all warm and fuzzy when you meet someone for the first time, while somebody else who looks just as good leaves you cold? Or experiencing a sudden pang of fear on a plane even though you're totally at ease with flying?
" ... I spoke with Wayne Link, a vice president with Red Dot Square, who said that the idea was to all but eliminate what separates virtual reality from reality. He told me about a test Red Dot Square did with Kimberly-Clark and Safeway to see what would happen if the seven categories of baby-care items Kimberly-Clark currently sold across four or five aisles were grouped together under various, shopper-centric themes ... ". An interesting suggestion about connecting physical systems to social processes. Have not examined the models yet, but will.
" ... Why are certain videos on YouTube watched millions of times while 90 percent of the contributions find only the odd viewer? A new study reveals that increased attention in social systems like the YouTube community follows particular, recurrent patterns that can be represented using mathematical models... "
Martin Lindstrom writes in AdAge on Brands and religion. There is no doubt that Apple has nurtured such a quasi-religious following. He covers this in his recent book Buyology: Truth and Lies About Why We Buy as well. In the past IBM and currently Microsoft have achieved a large negative following. Also a good commentary in the Brands Strategy blog. Worth understanding in some detail. The WSJ Number Guy examines how different people, professionals and consumers alike understand the meaning of a '20% Chance of Rain'. I have found that it is exactly these kinds of commonly used phrases in media where most people get their (mis)understanding of probabilistic reasoning. Good read. The BBC honors the invention of the Mouse. We met with a Doug Engelbart a number of times in the late 80s to talk some of his new ventures. A simple idea that went far. Before it I used methods like light pens. Lots of other ideas like tracking you gaze have been promoted, but none are simple enough. At the right, an early mouse. A number of simple, even silly IPhone applications have come out that link the IPhone brand with other brands. In a gift selection case, you enter some simple information about who you are buying a gift for, and then shake the phone ... it finds a random gift for you to buy at Target. In another case a realistic animated picture of a glass of beer is displayed on the phone. You tip it to your mouth, and the accelerometer in the phone simulates the image of the glass emptying. A virtual beer. This was followed by milk, snacks, etc. There is a rush to associate brands with the red hot IPhone platform and some are clever and silly. In the case of IBeer, it created considerable buzz and spoofing. Considering the current value of the US Bachelors degree. Have not looked at this in detail yet, but ReadWriteWeb writes about a public service for doing text classification ... Sounds like a great place to start a mash-up ... It is already used in applications like trying to determine the gender of a writer. That system, the Gender analyzer (Beta), determines that this blog is gender neutral, tipping slightly towards male (57%). Indicates it uses AI techniques. Depending how you interpret the correctness in his post-survey, it gets gender right about 55% of the time! Still under construction. I would think that there are other AI techniques that could be provided this way. uClassify: Ever wanted to know the language of a Web site? Or whether the text within it is considered spam? Well, it's a lot easier since the launch of uClassify, the free Web service and API out of Sweden that lets you create and train your own text classifiers. According to uClassify's about page, a text classifier answers the question: "To which predefined category is this text most likely to belong?" Text classifiers can be used to create spam filters, categorize Web pages, detect languages, classify a batch of blog posts, and more ... "
Wired piece that describes several options for reading books on an IPhone. I have used TextonPhone, but still find the format too small. I see that Nicholas Carr is writing a book: The Shallows: Mind, Memory and Media in an Age of Instant Information. Link is a stub and the title may change. A neuromarketing connection? Herb Sorensen writes about store sales.
" Sorensen's First Rule of Retailing: The faster you sell, the more you will sell! This is of course an empirical generalization, that applies to stores with similar classes of merchandise and generally designed and merchandised similarly. So here's the data: ... "
How Boomers Will Confront, Impact & Adapt to the Next 20 Years . Institute for the Future and Mature Marketing Institute's effort on how the dynamics of how Boomers will adapt to marketing. MMI is part of MetLife. Looks like a useful piece of work. An interesting recent application shows a visual overlay of ancient Rome on top of Google Earth. You can fly through Rome and visit some of the of the well known buildings of AD 320 under the emperor Constantine. A good example of how historical layers can be added to a current satellite map. The navigation of the space is still a bit quirky, probably related to my slower machine, but fun for those interested in visual history. An impressive amount of visual and descriptive data was put together. You could imagine this being used to build historical models of any spaces on earth to record their evolution. More at the Rome Reborn website And also a video demonstration of the idea. The project Zoetrope is explored in Technology Review. A project from Adobe Systems and the University of Washington, it allows the user to take a look back at previous states of a web page to understand how information provided has varied over time. I have used the Internet Archive to find changes in corporate sites to show how their coverage of topics have changed over time. Can be means of archiving for a corporate historian or even competitive intelligence: what changes are your competitors making to their sites? Zoetrope does not yet look at the whole Web, but only a thousand frequently updated web sites. Based on the included video you can use a set of 'lenses' to link together data on a page as it changes over time, then look at this data in a graphical window. It would make sense to link this capability to a BI visualization package so that you could build your own visualization methods. For example would like to trace the historical range of data, then have an alert occur when its value changed beyond some limits. The video does indicate that its data can be exported. The resulting capability is a workbench for dealing with Internet archives as they change over time. It did come to mind that piecing together so many kinds of data from Web sources over time could lead to bogus results. The way numbers are calculated can often change, and these changes may be lost in the footnotes, if presented at all. Caution is required. Zoetrope has not been released, and they say that their interface is evolving. Having it use the Internet Archive data also makes sense. Look forward to experimenting with Zoetrope. Academic paper.
" ... This guide identifies five principles that represent the media literacy education community’s current consensus about acceptable practices for the fair use of copyrighted materials, wherever and however it occurs: in K–12 education, in higher education, in nonprofit organizations that offer programs for children and youth, and in adult education... "
Are resumes dead? Are social media replacing resumes? To some degree perhaps, but folks will still want the details. Linkedin is an example of providing a professional face and leaving a means to provide formatted experience details. I have been a an observer in a number of enterprise applications of semi-autonomous robotics. In the early 80s we implemented a mail delivery robot to replace a person with a cart during working hours. The robot cart moved over a predefined chemical stripe on the floor, paused at predefined locations and could avoid people and other obstructions. The difficulty was that the robot could not use the elevators and needed to be moved by a person from floor to floor, minimizing cost savings. They were eventually removed. 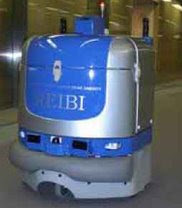 Now Fuji Heavy Industries and Sumitomo have introduced a floor cleaning robot that can utilize the elevators. The elevators also need to be modified. A step forward. This shows again that robotics are rarely used in enterprise office environments that are already largely standardized. Even after twenty years plus of development. The problem in a home environment, with fewer standards, is even harder, except for the scale of operation. Link to a podcast, reminds me of the recent Esquire e-ink cover. A marketing stunt and these can have their value in demonstrating feasibility and generating interest. While I like the integration and combination of new technologies, would like to see some real need there first. The cost of such devices in disposable as opposed to collectible print publications would be high. AT&T's Chris Schembri hopes to use video chips in print advertising .... As part of a multipronged effort to develop novel new marketing tools, AT&T is exploring the use of audio and video chips in its print media advertisements ... "
Basic Forbes/CIO article on the semantic web and its emerging applications. Evan Schuman writes about the personalization of gift cards, and makes a point that this is a challenge to companies like Amazon, who have large databases of purchasing behavior and would love to monetize them in new ways. In the past they have made incorrect and embarrassing assumptions about other books you might like. They seem to have outgrown that, but everyone likely has a different creepiness level. Forbes has a very good disruptive innovation example from P&G. Also a good example of using external, open innovation to provide disruption. Shows how it is not just about connection to disruptive external ideas, but also about how to develop the ideas for the right internal application. It is just this year that I started to carry a cellphone with a camera. I quickly found myself using the camera as an always-available information recording device ... for example taking a picture of a subway map that I would need later. Or taking a picture of some notes we scrawled on a napkin or a whiteboard for sharing. Popsci has a list of other examples, all very simple, even silly, that alerted me to other similar uses. Colleague Sammy Haroon posts about Succeeding in a Volatile Market: 2018 The Future Value Chain. Stimulating thoughts about the topic. 1. Reduced reliance on paper-based feature and coupon circulation. 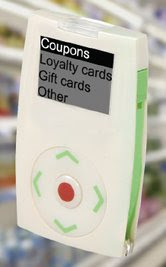 A race for dominance is taking place with computer-based Internet applications, mobile phones, credit and frequent shopper cards and in-store applications. Global positioning systems (GPS), radio frequency identity tags (RFID), eye movement tracking cameras and similar devices will enable location- and interest-specific promotional offers to be delivered at actionable sites. ... Integrated strategic promotional planning. Shopper marketing comes of age, dominating the retail landscape, displacing product-centric marketing planning. Technology enables a holistic planning approach that puts the consumer front and center while "benefitting the brand, the consumer, the shopper and the retailer." ... "
The MS image search capability has added the ability to search for similar images. In a sense that it uses the similarity of pictures and not only tag descriptors to find images when you choose 'show similar images'. A quick test shows that perhaps 75% of results are reasonable. In a recent effort I looked at a number of image analysis, classification and tagging applications. I previously mentioned the TinEye system. That system can be fed with an image and it finds similar images. General image similarity search is still difficult, but has a number of potential applications, including searching for copyrighted images that have been minimally transformed. Will revisit MS's work and TinEye. Slideshow about current projects at Microsoft Research. Heavy on collaboration and new forms of display. Nothing very different from what they were up to before. MS is still quite active in seeking patents. Ogilvy Action Finds More Shoppers Spurred by Low-tech Stands, Demonstrations ... Price discounting is seemingly the one sure thing in an economic downturn, but research by WPP Group shopper-marketing agency OgilvyAction indicates it's still not as effective a sales tool as that old stalwart: in-store displays... "
One of my interests is how to effectively create contextual innovation spaces. These can be physical spaces, such as the ones we created at Procter & Gamble. I just discovered that the Chinese mega retailer, Hualian, has posted some of the details of their innovation center being constructed near Beijing, We consulted on that effort in 2002. 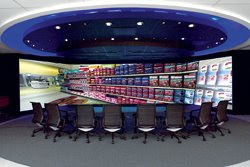 Also notable is the Kimberly-Clark virtual center model. Also took a look at virtual worlds models by retailers like Sears and Circuit City. Physical versus Virtual spaces? There are advantages to both. Physical spaces are harder to rearrange and remotely utilize. They do provide a tactile experience which can provide better engagement with participants. This is in part because they are similar to the bricks-and-mortar spaces they seek to model. So once an ideal solution is created it can be readily moved to actual store spaces for test. Physical block models that don't attempt to model the scale of retail spaces, though less impressive, do also add a tactile engagement dimension. Virtual spaces are easier to build and modify and once a library of spaces is created they can be retrieved and used to create experiments quickly. (example at the right is Kimberly-Clark's) They can also be readily linked to data and simulation models based on real data, further augmenting the potential engagement. Billions Up for Grabs for Marketers Willing to Reduce Number of Tints in Packaging ... "
I understand the sustainability and cost arguments here, but having been involved with first-moment-of-truth applications, it appears also to be risky. Limiting your sensory palette, making it hard to see or distinguish your product on the shelf, may cost you far more than $26 million. 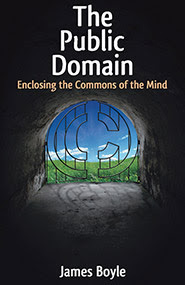 Intriguing book by James Boyle: The Public Domain, Enclosing the Commons of the Mind. Available for reading or downloading online free. The author believes that providing the book free will create a buzz that increases actual sales of the book. I have heard heard that this has happened in some cases, but certainly not all. Will look for the statistics. It is about the opening of intellectual property rights. Here I have mixed feelings, having been on both sides of the fence. In the midst of reading. " ... introduces readers to the idea of the public domain and describes how it is being tragically eroded by our current copyright, patent, and trademark laws. In a series of fascinating case studies ... "
Chapter 2 covers some of the views of Thomas Jefferson on patents and intellectual property. Covers recent topics like mash ups and the implications of the Internet. James Boyle is a professor of Law at Duke. Although somewhat academic in style, appears to be a good read for those interested in the topic.